Today we’re publishing the third installment in our blog series called “Contamination Concerns.” The first blog explained the dangers of asbestos and H2 Environmental Consulting Services’ remediation services – you can check it out here. The second blog included helpful information about lead exposure and H2 Environmental Consulting Services’ expert removal procedures – just click herefor the full blog article. Now we’re turning our gaze to a pair of relatively common, often misunderstood contaminants – mold and fungus. 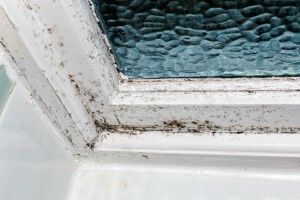 Many of us regularly come into contact with mold and fungus – and honestly, it’s not a big deal. You leave some bread out on the counter, it expires and starts developing a green tinge, and you throw it out. Or maybe you got a little too excited at the Farmer’s Market over the weekend and purchased way too much produce, which it promptly forgotten and left to rot in your crisper drawer. Hey, it happens to everyone at some point. But you should know that there are certain kinds of mold that can pose serious dangers to your and your loved ones’ health. Dangerous types of mold release mytotoxins that can harm the health of children, the elderly, and those who are immunocompromised. Signs that you may have a mold problem in your home include sinus problems, wheezing, eye and/or skin irritation, and other immune responses. If you’re not sure whether your residential or commercial property contains mold, you should schedule a complete environmental evaluation of your property with H2 Environmental Consulting Services by calling (800) 524-3578. Using state-of-the-art equipment and expert techniques, we’ll detect any contaminants, including mold and fungus, that may be present on your property. Based on the results, we’ll craft a unique remediation plan to ensure all contaminants are thoroughly removed so you and your loved ones will be able to breathe easy 24/7. Certain kinds of fungus can be harmful to humans and pets. Scientific studies have suggested that those who have been exposed to microscopic fungus have higher rates of asthma. If you or any of your loved ones suffer from respiratory problems, you’ll definitely benefit from having H2 Environmental Consulting Services conduct a complete evaluation of your home’s IAQ (Indoor Air Quality). We’ll conclusively determine whether any harmful fungus is present and if so, develop a thorough plan to eradicate fungus from the air you breathe all day, every day. H2 Environmental Consulting Services is Southern California’s most dependable remediation and management company. We’re here to make sure you and your loved ones are always healthy and safe. If you suspect your property may contain mold, fungus, or any other contaminant, don’t hesitate to contact Southern California’s environmental experts at H2 Environmental Consulting Services. Call us now at (800) 524-3578!